This is probably a lot less intense than most debates/discussions in this forum but I'm curious about what other people think. 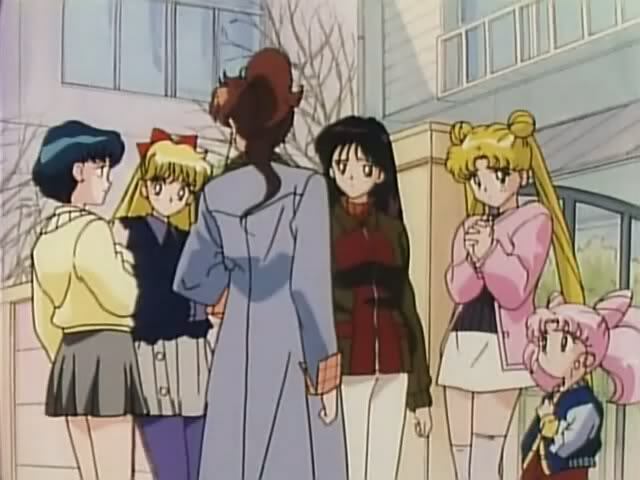 Out of everything she's worn in the anime and manga, which outfit wins? 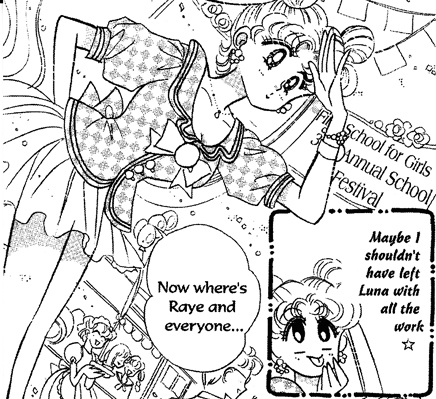 Are we counting her senshi fukus? I personally love her outfit in episode 8! It looked so good on her! The one where she had the blue outfit on and matched her blue umbrella. i prefer her manga outfits, they all look comfy, even if she spent most of the time with her uniform. This one is one of my favs! I actually really want to sew it for myself at some point. 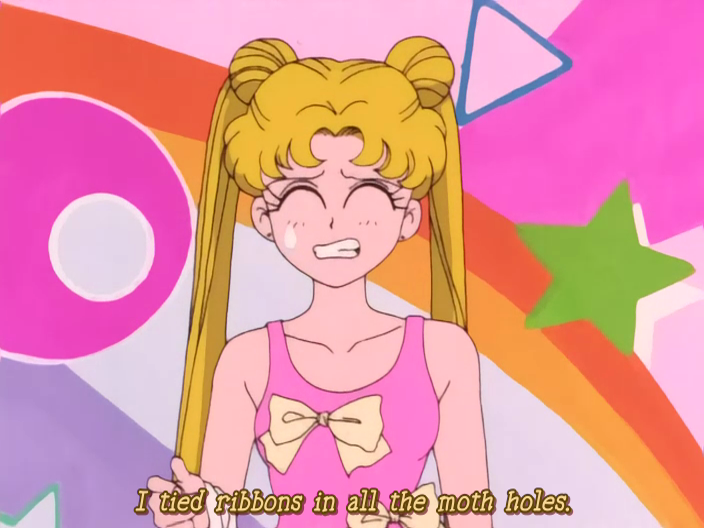 I love Usagi's Super Sailor Moon costume. 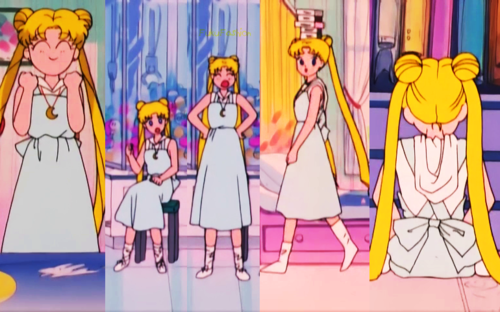 Anime: I love the outfit that Usagi wears in the SuperS movie. 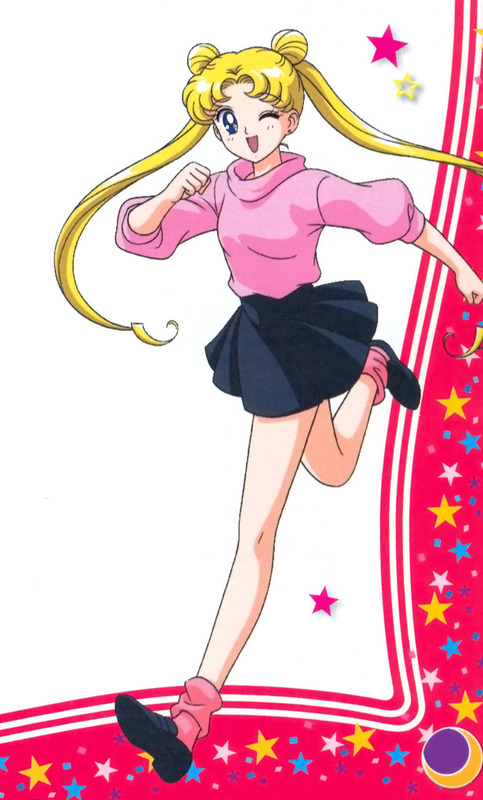 I think the pink hoodie and black mini-dress over the lavender tights is really cute. I'd wear it. I love this out fit too! 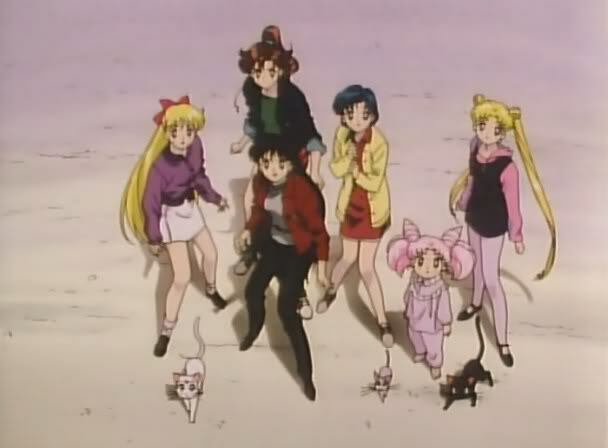 Also the one in the Super movie where she has a pink cardigan over a black sweater looking shirt and a skirt...I cannot find a picture on google right now but its so cute. 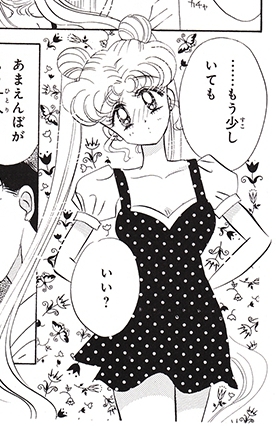 The polka-dot dress from the manga.